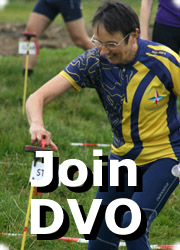 1.1 The Club shall be called Derwent Valley Orienteers, hereafter referred to as the Club and shall be affiliated to British Orienteering and East Midlands Orienteering Association. 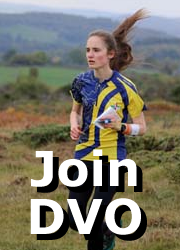 2.1 The objectives of the Club shall be to further the development of, and participation in, the sport of orienteering in accordance with British Orienteering’s current policies, rules and guidelines. 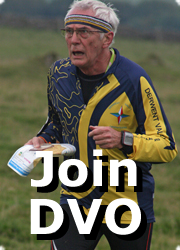 3.1 The club shall be based in the county of Derbyshire and shall provide opportunities for orienteering within that county. 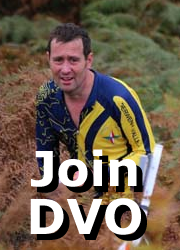 4.1 Membership shall be open to anyone completing a membership application form and paying the appropriate fee(s). 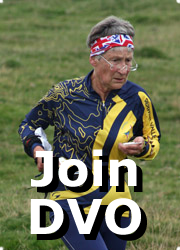 4.2 The classes of membership shall be as those specified by British Orienteering and also Social Membership. 4.2.1 Senior BOF members and those aged 16 and over, including those as part of a Family membership, shall be entitled to vote at General Meetings and Open Meetings. Social members are not entitled to vote. 4.2.2 Social Members will receive the Club Newsletter and be entitled to attend social events. 4.2.3 The Club may elect Honorary Life Members who will be treated as Social Members. 5.1 The affairs of the Club shall be managed by a Committee with powers to co-opt other Club members either in response to an emergent role or in order to maintain the Committee at full strength. Club members may attend Committee meetings as observers. The quorum shall consist of five members of the Committee including at least three elected officers. 5.2 The Committee shall consist of at least 11 Club members of which 7 are to be elected officers. Elected Officers are elected annually and the Chair, Secretary and Treasurer may not hold a single post for more than three consecutive years. In the circumstance of no other member being willing to stand for the post of either Chair, Secretary and Treasurer then the current holder of that post may be elected for one further year only. The other elected posts may be held for a maximum of six consecutive years. Elected officers may subsequently hold a different post or, after a gap of at least one year, the post they held before. Appointed officers shall be assigned to undertake specific roles within the committee, e.g. Committee members may hold more than one specific role and new posts may be created, and others dispensed with, as necessary. The appointed officers and their roles shall be presented to the AGM by the Committee each year. Broad descriptions of the roles of the elected and appointed officers will be agreed by the Committee. 5.3 The Committee shall meet as and when necessary, normally four times a year. 5.4 Members of the Committee shall be given at least seven days notice of a meeting. 5.5.1 to manage the affairs of the Club on behalf of the members and review progress of the Club Development Strategy and Action Plans on a regular basis. 5.5.2 to keep accurate accounts of the finances of the Club through the Treasurer, these to be available for reasonable inspection. The Treasurer shall prepare a year end Income and Expenditure Account and Balance Sheet that fairly represent the financial transactions of the Club for the year and the balances held on the Balance Sheet date for presentation at the AGM. The Treasurer shall maintain the Club’s funds in a current account and other appropriate accounts as approved by the Committee and duly reported at the AGM. For transactions above a financial value, as agreed annually at the AGM, the documented approval of any two of the Treasurer, Chair, Vice Chair or Secretary must be obtained before making the commitment on behalf of the Club. For funds in all accounts, the Committee shall ensure that effective, practical controls are in place at all times to appropriately safeguard these funds on behalf of the Club. The Treasurer shall be responsible for retaining the accounting records to meet statutory requirements and those of outside funding sources; shall prepare an annual budget for the Club; shall agree a budget with the individual organisers for all events at level C or higher for which the Club has financial responsibility; shall also provide a budget guideline for events of lower levels. The Expenditure Account and Balance Sheet shall be seen by an Independent Financial Examiner who should express an opinion in writing as to whether they represent a true and accurate picture. The Independent Financial Examiner shall have experience in financial matters; shall not be a Member of the Committee of the Club; shall not be involved with or associated with any significant financial transactions with the Club throughout the accounting period being examined; shall not be related to or have any significant financial transactions with the Treasurer. During the AGM, the Independent Financial Examiner shall be appointed for the coming financial year, and may have been nominated by the Club Committee. The Independent Financial Examiner may only be removed from office by the members of the Club at a General Meeting although the Club Committee shall be able to fill any vacancy that arises during the course of the year. 5.5.3 to organise a programme of orienteering events. 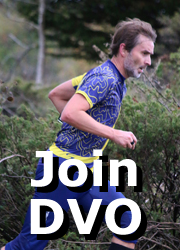 5.5.4 to organise a programme of introductory, training, coaching and development activities to promote and improve the standard of orienteering within the Club’s area with the aim of increasing Club membership. 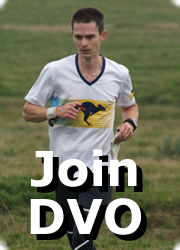 5.5.5 to register events with British Orienteering. 5.5.6 to initiate and monitor progress of mapping projects and to encourage mapping activities. 5.5.7 to maintain and publicise a programme of social activities. 5.5.8 to bid for additional funds (e.g. 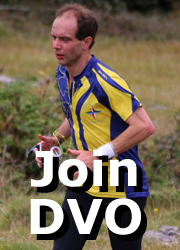 Lottery) to further the aims of the Club and orienteering in its area. 5.5.9 to take appropriate action in the event of a complaint or action contrary to the interests of the Club or Orienteering. In undertaking this duty the committee shall maintain and publicise a code of ethics and conduct; and see item 10.1. 5.5.10 to take decisions on the basis of a simple majority vote. In the case of equal votes, the Chair shall be entitled to an additional casting vote. 5.6 The committee may appoint Sub-Committees and Working Groups as required to undertake the day to day running of particular activities, e.g. Fixtures Sub-Committee, Development Sub-Committee, etc. The membership and terms of reference of a sub-committee shall be defined by the committee with a copy held by both the Committee Secretary and the Sub-Committee Chair. 5.7 The Chair shall take any urgent decisions after appropriate consultation with other Committee members. 6.1 The Annual General Meeting (AGM) of the Club shall be held during the month of October each year. 6.2.1 to confirm the minutes of the previous AGM and any General Meetings held subsequently. 6.2.2 to receive the annual reports of the Committee. 6.2.4 to elect the “elected officers” on the Committee. 6.2.5 to transact other business received in writing by the Secretary or Chair from members no later than ten days before the AGM. 6.3 An Extraordinary General Meeting (EGM) shall be called within twenty eight days of either a request from the Committee or receipt by the Secretary or Chair of a written proposition supported by at least 10% of current members or ten members as defined in 4.2.1, whichever is the lesser. 6.3.1 Only business relating to the specified proposition shall be considered at an EGM. 6.4.1 all members shall be given at least fourteen days notice of the meeting. 6.4.2 the agenda shall form part of the notice of the meeting. Any changes to the constitution must be identified as part of the meeting agenda. 6.4.3 the chair shall be taken by the Chair or, in his/her absence, the Vice-Chair. Should neither the Chair nor Vice-Chair be present, the meeting shall elect a temporary Chair for the meeting. 6.4.4 decisions shall be taken by a simple majority of votes unless a two-thirds majority is required by the constitution. In the event of equal votes the Chair shall be entitled to an additional casting vote. No proxy votes will be allowed. 6.4.5 the quorum shall be the lesser of fifteen members or 10% of the current membership as defined in 4.2.1. 6.4.6 any proposed changes to the constitution must be received in writing by the Club Chair or Secretary at least two calendar months prior to the AGM. 7.1 The Committee may call up to three Open Meetings each year, normally in January, April and July. All Club members shall be eligible to attend and shall be given at least fourteen days notice of a meeting. 7.2.2 to advise the Committee on policy matters. 7.2.3 to consider social activities. 7.2.4 to discuss any relevant matter raised by members. 7.2.5 to respond to consultations from the EMOA, BOF or other relevant bodies. 8.1 The Club’s financial year shall run from the 1st September to 31st August. 9.1 Any proposed alteration to the constitution may only be considered at a General Meeting. Such alterations shall be passed if supported by not less than two-thirds of those present at the meeting. 9.2 See also items 6.4.2 & 6.4.6. 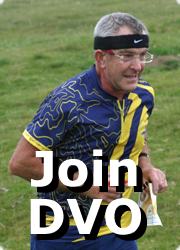 10.1 The Club agrees to adopt the up to date British Orienteering Policies, Procedures, Rules and Regulations as published on the British Orienteering website. 10.2. 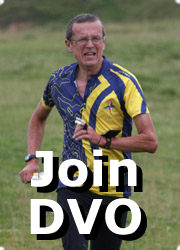 All individuals involved in orienteering through the Club, in any capacity, are deemed to have assented to and abide by and adhere to the British Orienteering Policies, Procedures, Rules and Regulations as published on the British Orienteering website. 10.3 The Committee may suspend from office, committee membership or Club membership any member whose conduct has been, in the opinion of the Committee, contrary to the interests of the Club. Notice will be given to the member in writing. 10.4 In the case of suspension of a member, the member may request an appeal before an Extraordinary General Meeting within 28 days of the date of having been notified of the suspension. The suspended member must be informed of the meeting details and may present an appeal against his/her suspension. The EGM shall decide by vote either to confirm termination of the membership of the suspended member or reinstate him/her immediately. 10.5 Both the Club and its members agree to abide by the final outcome of any disciplinary and appeal proceedings. 11.1 The dissolution of the Club shall be effected only at a General Meeting by the agreement of at least two-thirds of the Full members present. Notice of the intention to do so must form part of the pre-notified agenda and not be raised under Any Other Business. 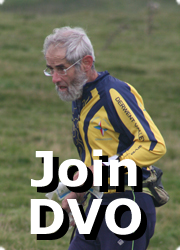 11.2 Upon dissolution, the Club’s funds or assets shall be transferred to the East Midlands Orienteering Association and used to further the development of, and participation in, the sport of orienteering in Derbyshire.